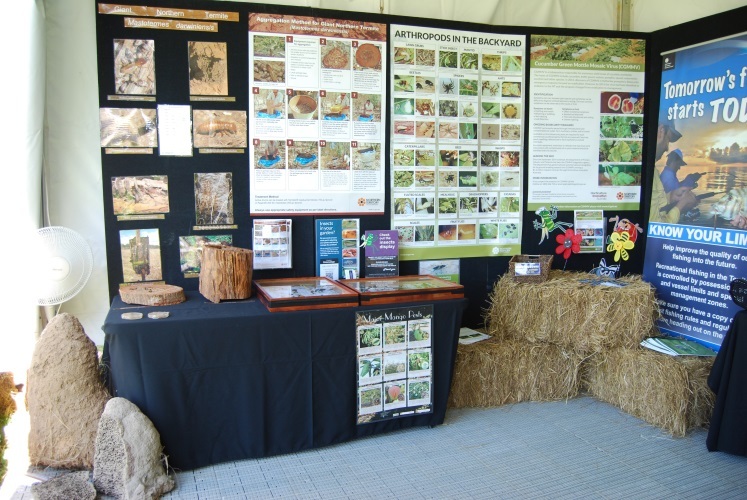 The Northern Territory show circuit kicked off last month with the Freds Pass Show held on 14 – 15 May. 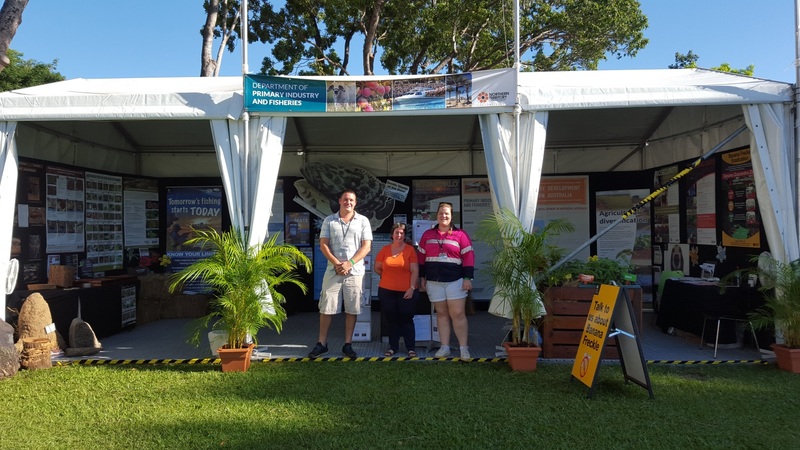 The Department of Primary Industry and Fisheries (DPIF) put on an impressive display showcasing the latest projects and information for interested showgoers. 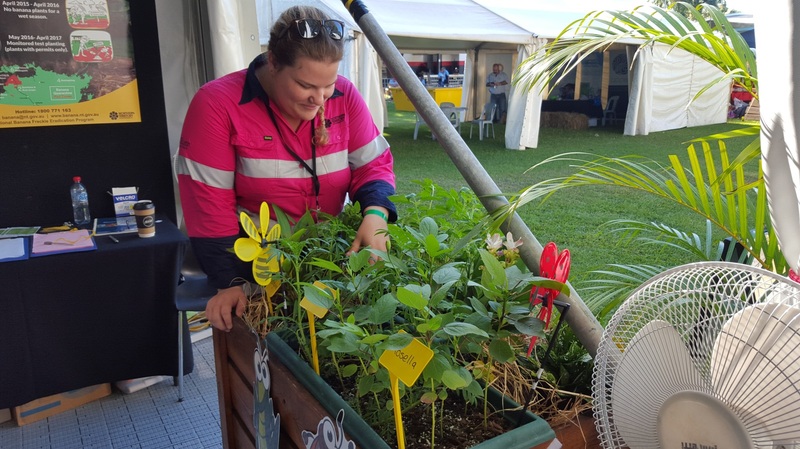 The Livestock Industries Development unit had information on buffalo production and breeding programs, and the Marketing and Enterprise Development unit emphasised how agribusiness will be a main driver of development in northern Australia in coming years. The Plant Industries Development unit had an update on the Cucumber Green Mottled Mosaic Virus outbreak and information on pests to watch out for in your veggie garden. They had a dried insect display and termites mounds which the crowd found extremely interesting. They also shared information encouraging pastoralists to take advantage of new diversification frameworks in order to protect themselves from financial instability and develop more sustainable farming practices. The Animal Welfare Branch gave out Frisbee freebies for our furry friends and information on who to call to report animal abuse or neglect. As Territorians we love our animals and our wildlife and don’t want to see them neglected or abused. Animal abuse, cruelty or abandonment can be reported to the Animal Welfare Branch on 1300 720 386. Fisheries focused on sustainable fishing by advertising their new fishing regulations, including revised possession limits and the creation of reef fish protection areas. 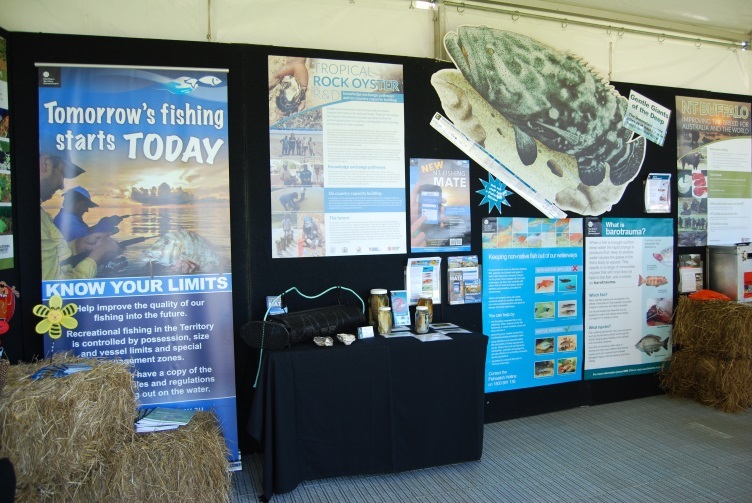 They also encouraged showgoers to make use of the newly released free NT Fishing Mate smartphone software that has many feature and can alert you if you are in a protected area when out on the water. There were project updates with information on their oyster farming initiative working with remote communities and information on protecting our waterways from feral fish species. Keep an eye out for new species and report any new pest sightings by taking a photo and calling the Fishwatch Hotline on 1800 891 136. 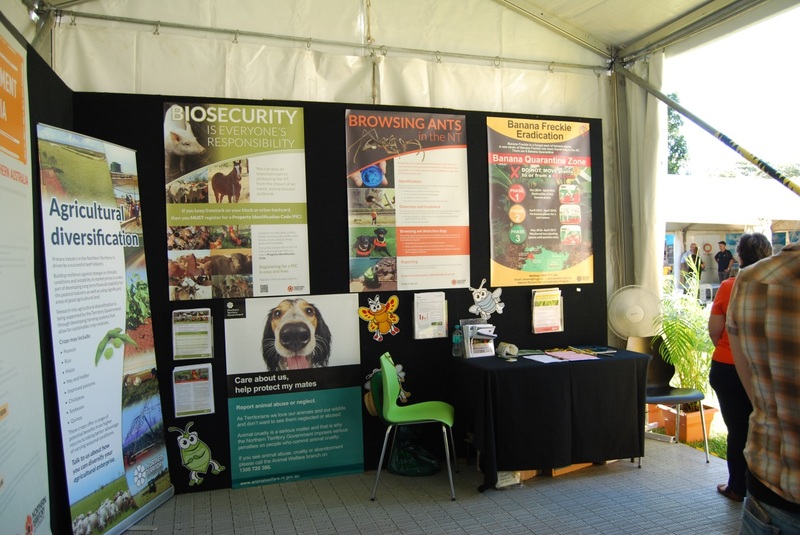 The Biosecurity division attracted attention with information on the requirement to have a Property Identification Code (PIC). You require a PIC if you house livestock on your residential or rural property. This will help biosecurity officers to monitor disease outbreaks and contact you quickly if there is an occurrence. Livestock includes cattle, buffalo, horses, donkeys, pigs, poultry, deer, llamas, camels, alpacas, sheep, goats and honeybees. It is free to apply for a PIC and can be done in a few minutes from nt.gov.au. There was also information on the Browsing Ant and Banana Freckle eradication programs. The latter has moved into the sentinel planting stage where you may now apply for a free permit to plant bananas in Red Zones, so long as they are purchased through an accredited nursery. These plants will be monitored for signs of Banana Freckle. Once you are issued a permit, you may even be offered sentinel plants for free. You can apply for a permit from www.banana.nt.gov.au.